It's time to make lodging reservations NOW! If you reserve and decide you will not attend, cancel your lodging reservation by 4 days out. TBS has a very limited block..
Friday, August 2, for the Friday Night Dinner with Carol Clark (Monarch Waystations), getting a good night's rest before Conference Center doors open at 8:30am on Saturday. 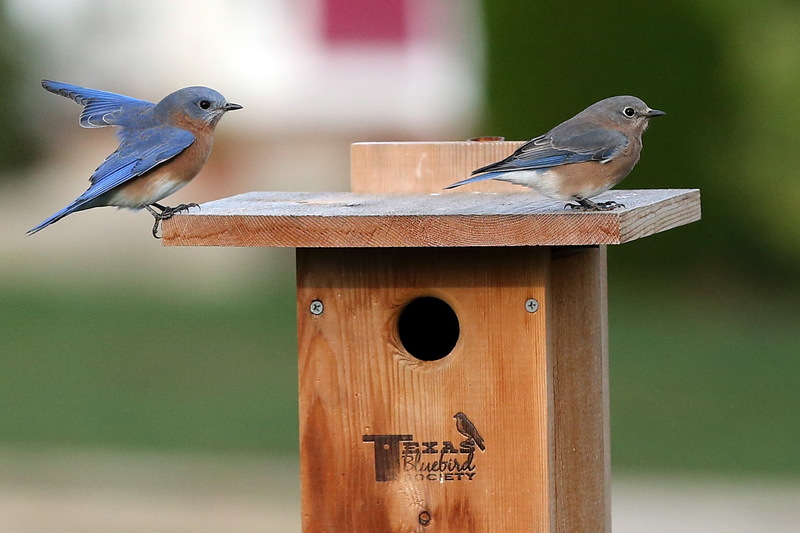 Phone Courtyard Midlothian 469 672 8760 direct and ask for "Texas Bluebird" rate, $99 plus tax. If your call rolls over to Marriott's recording, dial "0" to redirect your call back to Midlothian. If Courtyard Midlothian has no rooms available, or, does not have the room type you need, contact Pauline Tom, 512 517 5678. Pauline will attempt to change our room block.